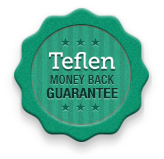 You deserve the very best level of service and complete satisfaction with Teflen online training. - Provide access to the appropriate course modules within one day of your Enrollment. - Provide a response to your queries or course module submissions within 3 working days. - Operate an equal opportunities policy. - Deal with any difficulties you may have with the course promptly and fairly within 24 hours, Monday to Friday. - Reported Technical issues will be resolved within 24 hours. Monday to Friday. - Provide access, during the course, to the appropriate expertise and support from your personal tutor and the Teflen admin team. - Provide constructive, individual feedback on your progress. - Provide you with access to the Cancellations, Refunds & Complaints Procedure. To claim your refund you’ll need to provide evidence of Teflen breaking it's commitment in writing within 7 days of this occurring. If you meet the conditions specified above, and wish to apply for a refund, the following procedure applies. Contact the Administration department by email: admin@teflen.com explaining that you wish to apply for a refund. If you meet the conditions specified in our commitment (see above) a refund will be issued. Teflen will respond, and make the necessary refund if relevant within 21 days. If for any reason you are not satisfied with the course you have purchased you are entitled to a full refund within 7 days from purchase, unless you have started the course itself. For the purpose of on-line courses you are considered to have started the course once you have logged into the course. No refunds are possible in cases whereby the tutee has been deemed to have failed the course. However, you have 3 attempts to pass each tests, if after the third attempt you fail, then you can pay for another chance to re-sit the module for a small fee. Teflen, takes your employment seriously, please refer to our employment pages. 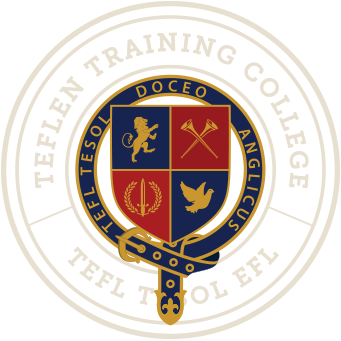 If you are not offered a job within six months after graduating from Teflen Training College, we will gladly refund your course price (subject to a $80 processing fee). Teaching destinations included are: Asia, Latin America, Europe & the Middle East. You must actively seek employment (within six months after course completion) by submitting at least five letters of introduction/job applications to schools in each of a minimum of four different countries (for a total of 20 schools). Teflen will respond, and make the necessary refund if relevant within 21 days.